I ended my weekend with a carload of goodies and a text message apology to Jon for everything I was bringing home. But, where, oh where, did I go? I swear, I can practically sniff out an architectural salvage shop wherever I journey to- like a moth to a flame, I am drawn to these wonderland places! And Architectural Antics is really, truly a fantastical store. My favorite section is the outdoor yard, of sorts, which holds any number of treasures- wrought iron patio sets, vintage gymnasium lockers, candy-colored pedestal sinks, you name it. I dig that drum light! Four Seasons is located in a strip of several antiques shops, so if you hit it, the others are just down the sidewalk a few steps. I love this shop for its eclectic collection of…well…everything! There’s a great selection of vintage apparel…plus primitive kitchen pieces…plus mid-century kitsch…plus things that you once had in your bedroom many moons ago. Ya’ll know I love to explore locally-based thrift stores- animal/pet related charity shops are my favorite, but I really do like knowing that my money is being used within the community. Ladies of Charity was a REALLY nice surprise of a shop! There’s the cute little boutique-shop on one side (which I liked) and then there’s the warehouse store across the hall (which I LOVED). And super bonus, everything was 50% when I visited. A room full of half-off treasures! For my mid-century modern lovers, get thee here!! For years, this has been my go-to shop for all things #MCM and I always find a treasure (or a few) at Vintage, Etc. Remember the suitcase I used to make a pet bed for Cottonball? Came from this shop! Always a favorite stop in Knoxville! KARM is another local charity based in Knoxville and they have an abundance of shops in every direction! I only hit up a couple of them but had treasure-hunting luck at each one! From framed crewel pieces to kitschy planters made in Japan(that I used for my Citronella Candles project), I could see myself making a day just going from one KARM store to another! I NEVER bake cakes…but I needed this anyway. I’m weird like that. Projects and Possibilities and Ideas…oh my! Did I pique your interest? And let me tell you, I have several other places to hit for my Part 2 blog post- I can’t wait to go back. If you know the area well, please let me know if you have any favorite hidden gems for junkin’…I’m always on the hunt! Thanks for the post. I live in Knoxville and didn’t know about a couple of these. How do you find them when you go to a new city? I like the Disabled American Veterans Thrift Store off of Washington Pike. They always have interesting things for better prices than Goodwill. Thanks, Julie! I spend a lot of time with Google, LOL. 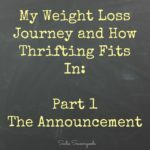 I’ll definitely have to check out the thrift store you mentioned- thanks for the tip!! This little gem of a thrift store has since closed 😞. It had some great finds and the volunteers were superb! They haven’t announced where their new store will be but were anxiously awaiting. Our little shop is just around the corner from where their store (was)… Come see us at Becca’s Attic for Part 2! Oh no, which thrift store?? Ladies of Charity? That’s so sad, it was a wonderful shop…thanks for letting me know. I’ll definitely put Becca’s Attic on my list for Part 2, though!! No, sadly the Disabled American Veterans one. 🙁 Well, at the very least, I’m very excited about coming back to Knoxville- y’all have SO MANY shops for me! LOL- and just think, it’s only Part 1!!! thanks for the info………..gonna have to pop into these shops next time I head to Cookeville tn. Great places but too far from Oregon! hi, I live in Kingston, 20 minutes from Knoxville, let me know if I can help with any info. I have antique booths in Lenoir City which is close to Knoxville. Thank you, Sandi!! I might take you up on that! Where do you live, Madonna? If you’re in Knoxville (since you commented on that post), then I’d recommend Four Seasons Vintage, which used to have a large vintage clothing dealer. POP Weasel Emporium is a new shop near Ladies of Charity. It’s fun and funky and takes you through the rabbit hole of vintage. It’s on the quiet side of Gay St. in Emory Place. Oooh awesome- thanks for letting me know! I hope to do a second Knoxville post with different shops and that one sounds perfect to include! Be sure to introduce yourself and I’ll even show you the hidden back room with additional treasures! Be sure to stop by Becca’s Attic on your 2nd trip to K-town! We’re also having our 3rd Southern Sweet Tea and Junkin’ Fair on June 3, 2017 with over 40 vendors and food trucks! It’s a junkers, pickers, and DIY’ers paradise. Thank you! I do plan on a second “junkin’ journey” post there and your shop is on the list now- huge thanks! Pop Weasel Emporium on 611 N. Gay Street is offering some of the most rare and hard to find items that we have found anywhere. 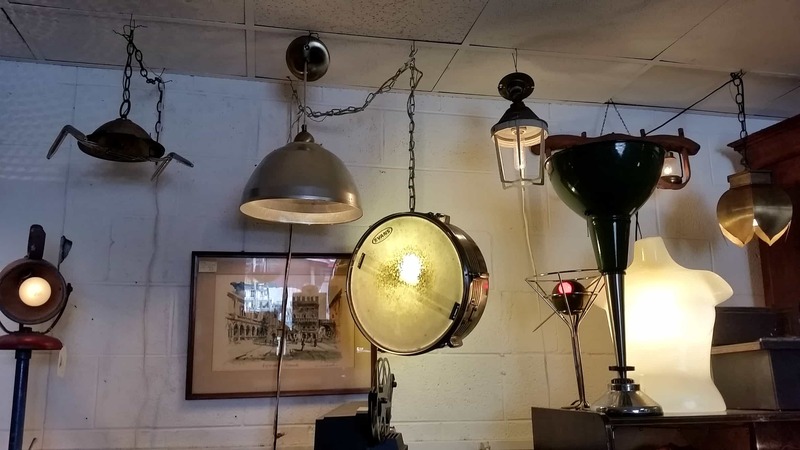 When you come in and see all the cool and hip furnture, art glass, vintage toys, mid-century modern lamps, art, and oddities, it will blow your mind! If you don’t see anything you want, just ask the helpful staff and they may have it in stock. The prices are the most reasonable in town. We just love this place! Oooh, awesome, Jeff- thanks for the reco!! I’m overdue to head back to Knoxville for my Part 2 and will add this to the list- appreciate it! Hi there! Nostalgia on McCalla has moved and changed owners and is now Vintage Etc. At 3000 Tazewell Pike:) i wonder if you’d consider updating the link? Thanks so much! Thank you SO much for letting me know, Amy- it’s all updated!